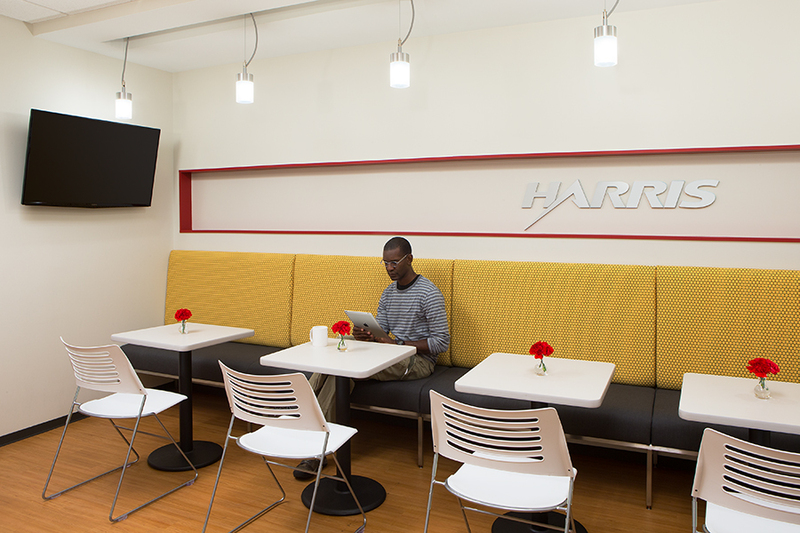 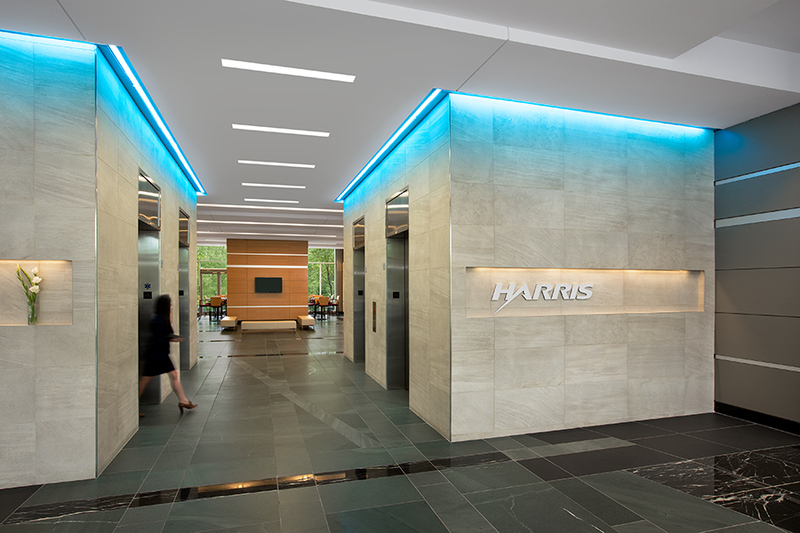 Harris Corporation decided to consolidate several offices in the northern Virginia area to one building. 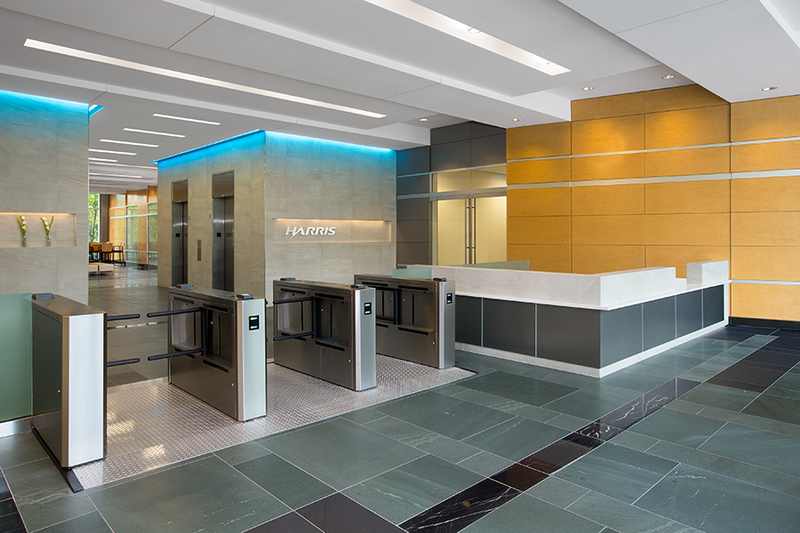 They wanted to utilize as much of the existing conditions and infrastructure where they could. 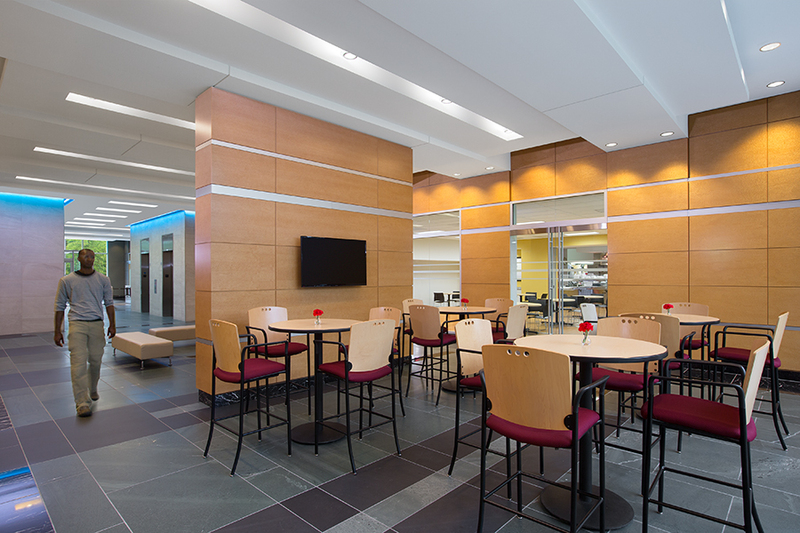 FORM’s main efforts focused on upgrades to common areas (building lobby, elevator lobby entrances, and main pantries) to reinforce the brand and to create more collaborative areas.